George Harbachuk, RAF Technology’s Vice President of Marketing with the Matthews’ Inbound Receiving Solution. Photo courtesy of MMH.com. 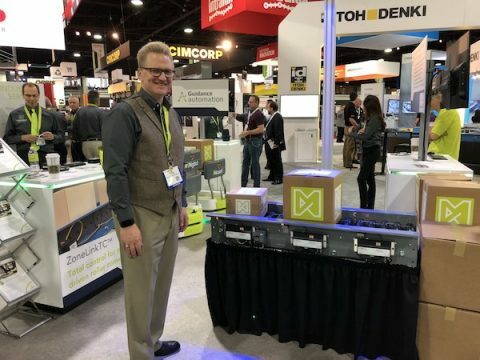 Editor Bridget McCrea of Modern Materials Handling magazine toured the Matthews Automation Solutions’ exhibit at MODEX 2018 and featured the showcased Inbound Receiving Solution that synchronizes different technologies from multiple Matthews’ brands. 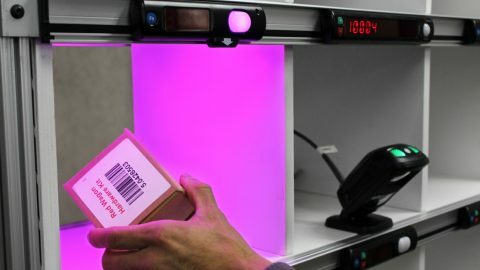 In the article “Matthews showcases its integrated, automated inbound receiving solution,” McCrea highlighted the solution’s combination of autonomous mobile robots with deep-learning artificial intelligence (AI) from Guidance Automation, an advanced warehouse control system from Compass Engineering, ZoneLinkTC controllers from Holjeron and Optical Character Recognition software from RAF Technology. Click here to read the full feature story. Pack-to-light proves perfect process for distribution centers. Boost Throughput, Productivity with Two New Features for Light-Directed LP Put Wall, Debuting at ProMat 2017. 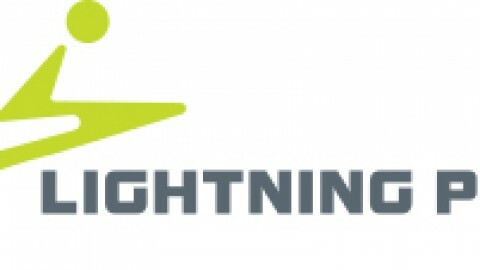 PCC Systems changes name to Lightning Pick Technologies.